GOSH!ABOUT: Full Figure Fashion Week BLOGGERS EVENT! – GOSH!About: Fashion. Art. Music. Events. TV. Non Profits 'N' Lifestyle > Subscribe now! GOSH!ABOUT: Full Figure Fashion Week BLOGGERS EVENT! 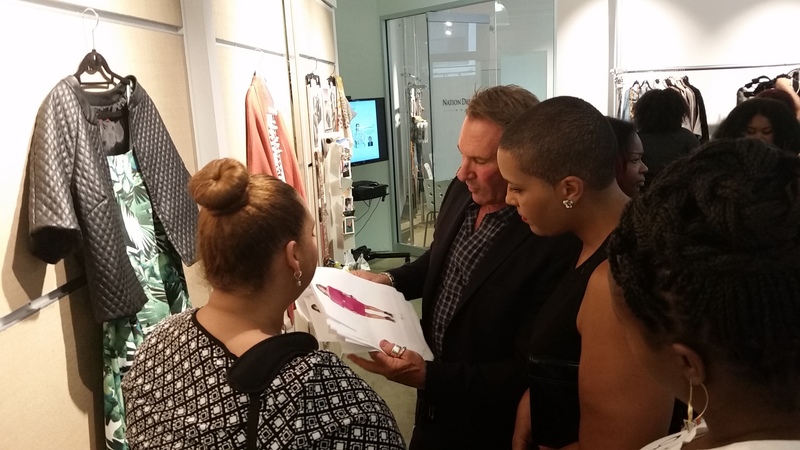 Thursday, June 18, 2015 was the showing of HSN’s designers Marla Wynne & Hal Rubenstein collections to exclusive bloggers during Full Figure Fashion Week (FFF Week). A major chex mix of events happened before this event took place, a lot of disorganization of guest list, invitations and confirmation letters vs. RSVP tickets, and so much unnecessary back and forth. . Y’all it was a mess! I was a guest with another company who was RSVP and the company was dropped off the guest list. This ruffle of effects happened to many major companies and publications that feathers were ruffled immensely. Keeping it pro, I went ahead and attended the event. Finding the place was another issue that I had to call in my affiliate partners to find this particular showroom for the address given was incorrect. Thank god for rickshaws because not one taxi was available. Upon arriving to my amazement, the event was basically set up as a Buyers Event. All pieces for both designers were on racks and walls in one area. There was no type of formality as far as presentation is concerned. I was disappointed to not seeing at least a live semi-presentation for understanding the designs originality and ideas from both designers. Not even a model wore a collection for all to really see and have a visual presence to. It was a free for all as far as getting a turn in with a designer or at least standing near them to hear something shared by them about the collection.